Eating spicy foods—Mexican, Thai, or Chinese…all these foods tend to be spicy. Consumption of spicy foods tends to make you flush and sweat, leading to increased hot flashes. 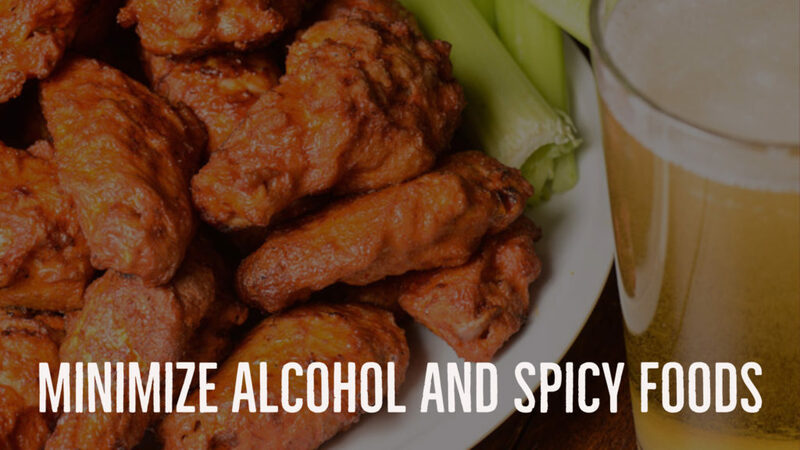 Limit your consumption of spicy foods when possible. Smoking—If you needed one more reason to quit, here it is. Smoking increases hot flashes. However, if you have a genetic predisposition to poor estrogen metabolism and increased sensitivity to environmental toxins smoking can make menopause in general more severe. Consider kicking the habit. Getting overheated—By this I mean getting overheated with no real way to cool down effectively. Painting in a hot room with no air conditioning, or just being outside during a summer day in Texas. Once you start the sweating and flushing, a full-blown hot flash can follow. Try to plan these activities when the temperatures are not soaring. One thing to always consider when dealing with hot flashes is when to see a hormone specialist. Remember you don’t have to suffer. Bio-Identical hormones can help replenish your levels to where you feel good again! A simple blood test can tell your hormone doctor what you need to be taking and how much.Dr. Melissa Miskell is the Medical Director of Hormones by Design, a bio-identical hormone replacement center in Waco and Boerne, Texas. Her highly trained Nurse Practitioners have been treating hormone patients for more than 10 years and are accepting new patients. In Waco call (254) 230-4225 to schedule with Women’s Health Nurse Practitioner, Suzy Hancock. In Boerne call (830) 981-9540 to schedule with Family Nurse Practitioner, Nancy Beebe. Want to order some of the Hist DAO mentioned above? You can order pharmaceutical grade supplements through Xymogen Xpress. Simply go to Xymogen.com, Patients, Xymogen Xpress, and register. Call or email our offices to get your Referral Code. Physician Code is always: Miskell.